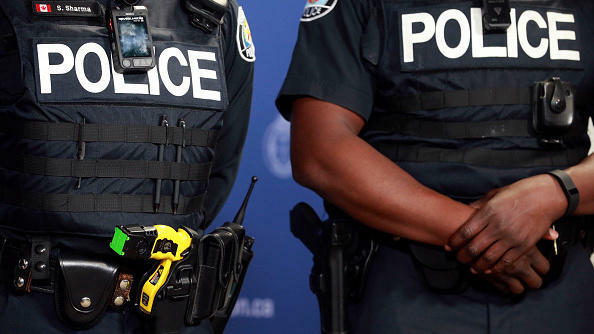 According to the new ruling, police in five Southeastern states cannot use Tasers on nonviolent, noncooperative suspects. But the ruling isn't only about Tasers. It has deeper implications for police use of force, generally speaking. What surprised the experts are the reasons the judges gave in the ruling. At one point, they say the officers weren't following "best practices" for Taser use, established by groups such as the Police Executive Research Forum. Federal courts traditionally have avoided setting hard-and-fast rules for what makes use of force legal. Instead, they've set broad standards — for instance, the Supreme Court said in 1989 that police use of force must be "objectively reasonable" (Graham v. Connor), but it left it to lower courts to hash out what that means in practice, case by case. So when this panel of judges in the 4th Circuit starts citing specific "best practices" as a measure for lawful Taser use, it gets the attention of people such as Seth Stoughton. "This is potentially a really big deal," says Stoughton, a former police officer who is now an assistant professor of law at the University of South Carolina, where he specializes in police use of force. "It could actually draw some lines for officers to follow, rather than what is — in my view — this nebulous to the point of meaningless standard of, 'Just be objectively reasonable.' "
Pro-police legal experts agree that this ruling is unusually specific — and they see that as a problem. Police generally like the "objective reasonableness" standard because it makes it easier to judge a cop's use of force by the real, on-the-ground circumstances, which can be fast-moving and chaotic. They worry that if the courts become too proscriptive, officers will be hampered by rigid rules, and may hesitate to act in moments of danger. Even Stoughton, who supports the idea of more specific rules, admits he is surprised this three-judge panel broke with tradition. He doesn't know why it did so, but suspects it may have something to do with the post-Ferguson moment in America. "Federal judges and everyone else — we're simply more aware of policing ... and that's been true for more than a year and a half," he says. "That can't help but affect judges in some way."